Type the full email address of the user you want to add. Select the access level for the user. 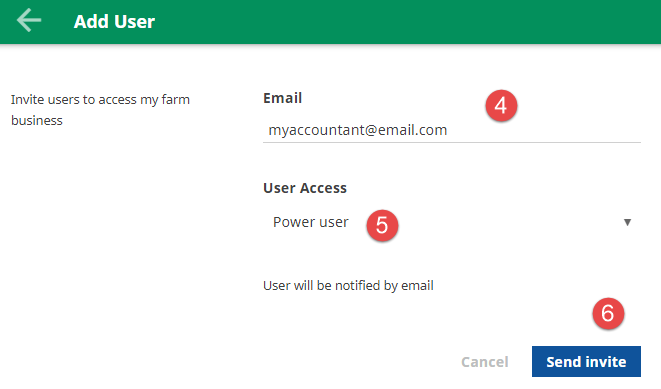 Existing users, those that have already created a user profile in Cash Manager Focus, will have immediate access to your farm organisation. Users that haven’t yet created a profile will receive an email that guides them through setting up their profile. Until they have signed up, the user’s access to your organisation will be set to pending, and they won't be able to access your organisation. You can send them a reminder by clicking on Settings - Users and selecting the pending user.